Catherine Matthias, author of the not yet published children’s picture book A Circle is Born, and six other children’s books produced by Scholastic/Children’s Press (hardcover, softcover, boxed set) including Too Many Balloons, I Love Cats, Over-Under, and In the Door/Out the DoorDissection, provided this review of former literary agent Mark Malatesta. Catherine worked with Mark to improve her query letter resulting in her being offered representation by literary agent Janet Reid. Scroll below to learn more. 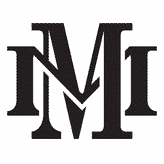 Click here to see all Mark Malatesta reviews. And click here to learn more about Literary Agent Undercover and The Bestselling Author after you read the review about Mark Malatesta below by Catherine. Working with you was the smartest move of my writing career! Janet Reid, one of my favorite agents, is now my agent. My heart is pounding and the song “At Last” is going through my head. It was utter relief to get the contract, because it didn’t come in immediately. I got an enthusiastic letter in the beginning, then had to work on manuscript revisions for three weeks. After that, a series of things happened at the agency—people on vacation, someone having a baby, etc. You calmed me down and said, “Those things are normal, life happens, just wait.” So, I cooled my jets. From the agent’s end, I’m sure it seemed I was extremely patient. But I was anxious! “Gee,” I thought, “We’ve done all this work together, is this going to happen?” Three or four weeks later, the contract finally arrived. I signed it and sent it back, then it came back to me again with the agency signature. My husband and I did a jig around the living room. You were absolutely right because the book we pitched had the broadest appeal and a universal theme. I hadn’t sent out queries for that book yet, but I’d sent out queries for another book and I’d only gotten rejections. When that happens, it’s hard to know if there’s something wrong with your manuscript or your query. You helped me improve both! When I read the query you wrote, I thought, “Oh, who is that person? Ah, I like her.” It was great. What I loved most about your query is that it was totally different from all the other information I’d learned about in articles, books, and conferences. You didn’t stick to just one page, and you didn’t lead with a typical hook line about the story. There were very good reasons for that, which you shared with me. Now I understand. You showed me, that, in my particular case, there was a better opening that would get me better results. When my husband saw the query, he said, “This was worth every penny.” You took all my ideas and answers, which were roaming all over the place, and put them together in a coherent system of thought that really worked. As you know, I manage an art gallery and work with artists all the time. My thing is helping them get their creativity seen and sold. So, I understand the importance of needing someone else to help you do that. You also had me do something I’d never done, which was find books similar to mine to get a better sense of how my book was special. It took a lot of research, but I did it and that information made the query much stronger. Within nine days, I got my first expression of interest from a top agent, then I got a couple others. You helped me see that Janet was the most successful and enthusiastic, so I decided quickly to go with her. I really love that her agency is “open.” The agents there all speak to each other and have a weekly meeting, during which they talk about what they’re doing. I’d actually sent my manuscript to a different agent at the agency, but, when she told everyone about my project, three agents wanted to represent me. Janet told me she loved it so much that she put her foot on it and pulled it toward her. And, that was that. The fact that Janet’s my agent is interesting because she teaches very different things about how to write a query. But your query worked with her, proof that there’s more than one way to write a great query. I’d known about Janet a long time and I’d been following her online. She’s known among writers as the Query Shark and she answers writers’ questions on her blog. I’ve always liked her style. She’s wonderfully snarky and funny. When I first heard from Janet after I sent her my manuscript, she was just like she is on her website—funny and enthusiastic. I felt like she was popping out of her shoes and socks, she was so excited about my book. I didn’t expect that from an agent. I was expecting calm and buttoned up. I knew immediately we’d have a good relationship, that’s exactly how it’s gone, and it wouldn’t have happened without you. Before I found you online, I just Googled agents for children’s books and it was a long, slow process of going through each agent’s website. I also looked at agent information in the Writer’s Digest Guide to Literary Agents, but that information gets old quick. Agents move around and change what they’re looking for. There were even some things on the agent list you sent me that were no longer correct, but I was expecting that because agent information changes so much, and I just verified information at the agent websites when needed. Researching agents was time-consuming, but it was extremely time-consuming before I decided to work with you. Everything I needed was on the agent list you prepared for me. That list allowed me to do the agent research and ranking I needed to do in a couple weeks instead of months, which is what it would have taken doing it on my own. That was very valuable. It was also well laid out and made life simple compared to what it normally is. One of the worst parts about being an author isn’t the writing. It’s trying to get accurate information. You don’t want to waste time or annoy agents by sending them things they don’t want. Being an author is also challenging mentally. You have to tamp down the enthusiasm now and then, and just keep going. You can be happy when it happens, if it happens, but you also have to not slit your wrists if it doesn’t. The questionnaire you had me fill out before our first phone call was helpful setting expectations. I loved the questionnaire. I worked on it for days and it made me think differently, about my books and my career. It was challenging but helped me focus in in a new way. Of course, I also loved talking about the questionnaire with you once I was done filling it out. I was surprised and pleased with the ease I felt talking with you. You never know what you’re going to get with people. What’s that voice on the other end going to be like? Some people are fairly easy to work with and others are kind of grumpy or difficult. I didn’t have a lot of questions because you go through the process so well, step-by-step-by-step. And I never felt I was left out or couldn’t ask you questions. You were accessible. I was pretty surprised you wanted me to send out so many queries all at once, but now it makes sense not to dribble them out there. Once you know the query is as good as it can be, especially if someone like you has improved it, there’s no reason to go slow. But if you don’t have help, you’re better off only sending five or six at a time, then trying to figure out why something isn’t working, if it isn’t working. Thankfully, it worked for me. I think about you and how far you’ve gotten me. With big smiles and many thanks. I’m grinning like the Cheshire Cat. Do You Want to Be Like Catherine Matthias Who Provided this Review About Mark Malatesta? Do you want to be like Catherine and get represented by a successful literary agent like Janet Reid? Click here to get instant access to the Free Resources on our websites for authors and click here to find out how you can Schedule an Introductory Coaching Call. 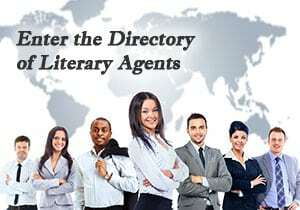 Mark Malatesta is founder of The Bestselling Author and Literary Agent Undercover, helping authors of all genres (fiction, nonfiction, and children’s books) get top literary agents, publishers, and book deals. The above review of Mark Malatesta, Author Coach was provided by author Catherine Matthias.